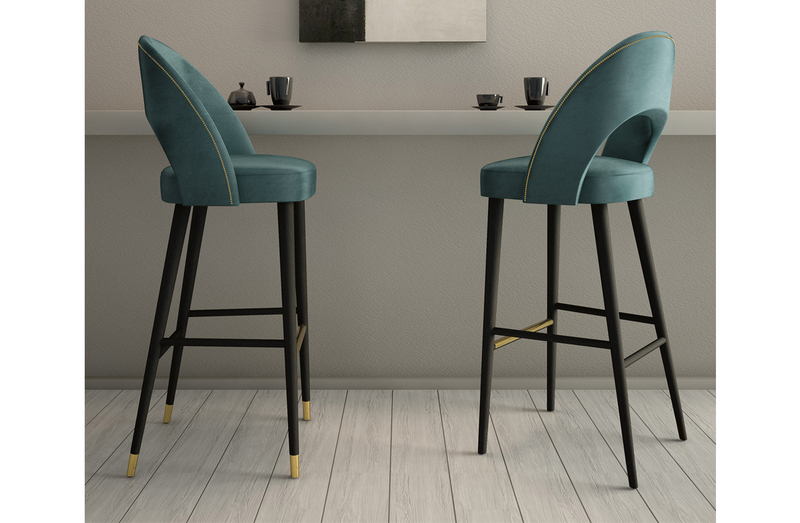 Barstool collection with stained beech wood legs, upholstered seat available with or without nailhead details. Legs available in all wood or with brass metal details. Please see ADDITIONAL SPECS to view available wood stain options. 20" x 21" x 46.5" total height/32" seat height.